The Dallas Divide is stunning in any kind of light, but I decided to get up way before sunrise and drive from Aspen to photograph this beautiful area. 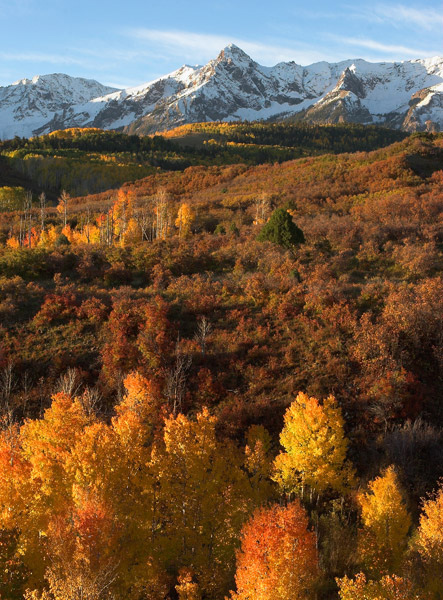 Views of Dallas Divide and the Sneffels Range between Ridgway and Telluride Colorado are stunning, especially in late September when the aspen groves turn gold and if you are lucky enough to have the mountains peaks covered with snow. Photo © copyright by Mike Barton.